How's the weather where you are? It's been absolutely gorgeous here lately. We've been trying to spend as much time outside as possible. Although the days are getting longer, our backyard can get pretty dark. 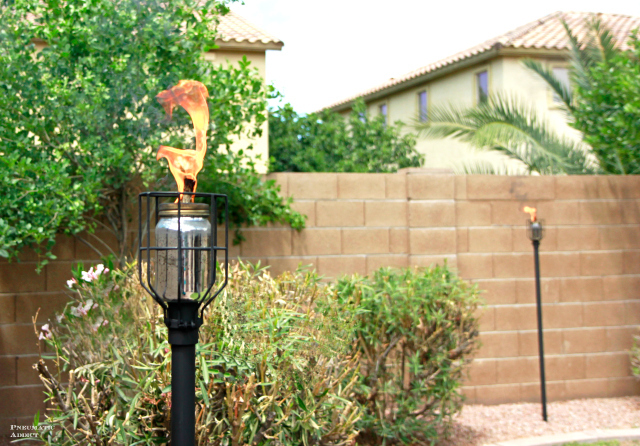 Bamboo tiki torches aren't my style, and steel torches can run upwards of $40 each. I came up with a DIY solution that costs only around $13 per torch, including fuel. 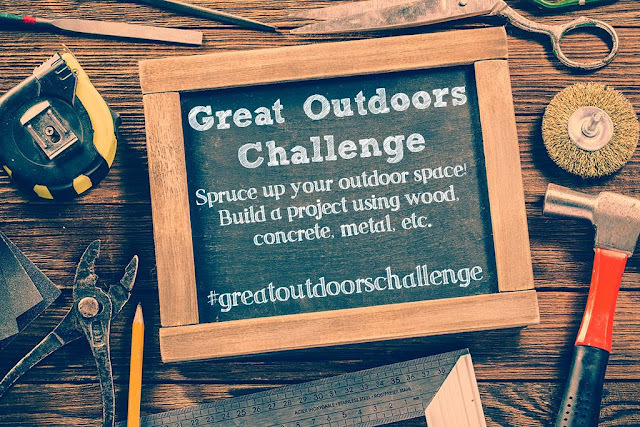 To inspire us to get outside, my friend and fellow Arizonian, Katie from Addicted 2 DIY challenged a group of our friends to come up with an awesome outdoor project. We want to see what you can come up with too! Share your best Outdoor project on social media, using the tag #greatoutdoorschallenge. My friends and I will be checking them out and sharing our favorites. 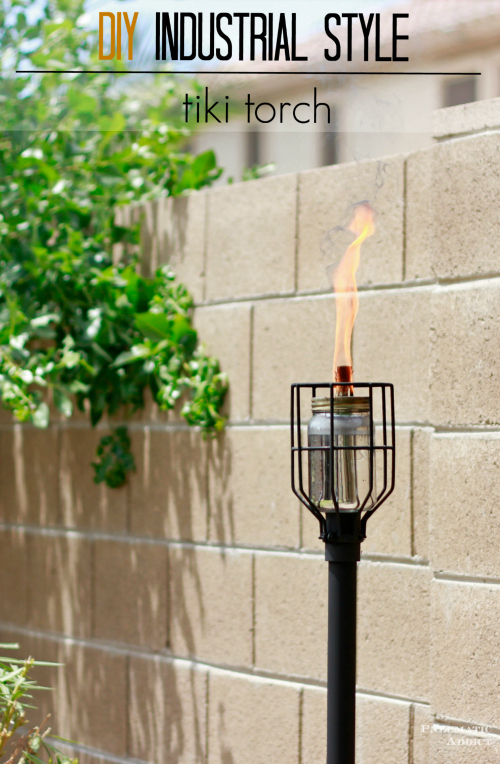 In the meantime, keep scrolling to learn how to make your own Industrial Style tiki torches. If you go to Home Depot, the fence pole comes in 10' lengths and you only need 5' per torch. 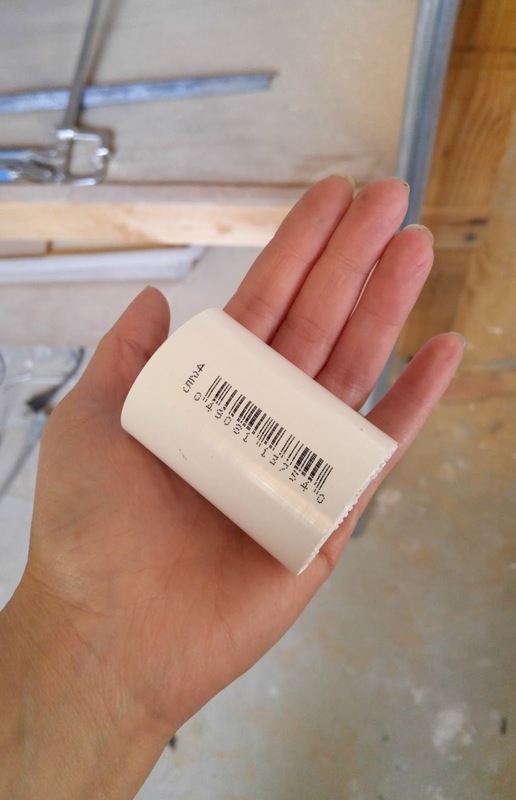 The fencing poles are tucked away by the building materials, but if you carry them over to the plumbing aisle, an employee can cut them down to length for you. While I was in the plumbing aisle, I picked up two 1" PVC pipe couplers. 1. 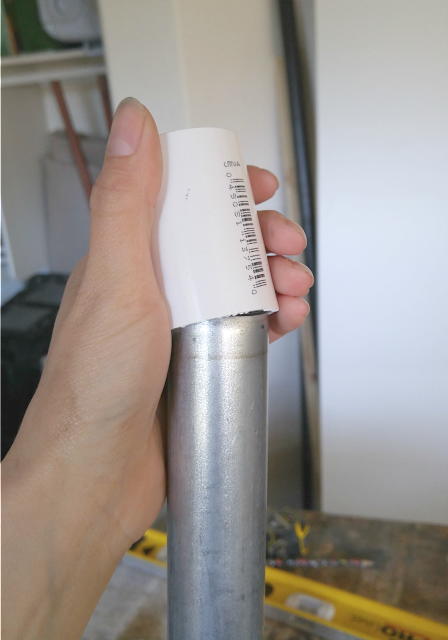 I inserted one end of the pipe halfway into a coupler. I was a tight fit, so it took a bit of muscle. 2. 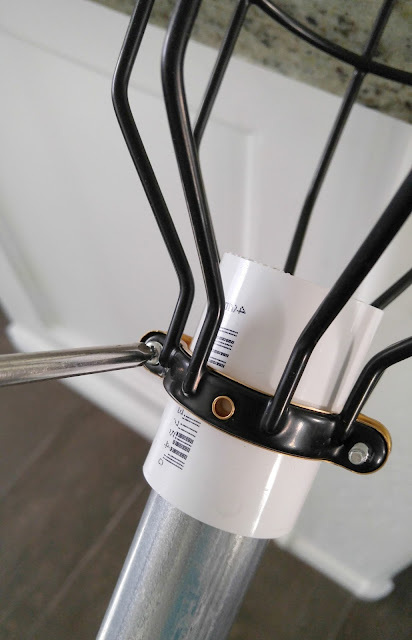 I slid a light bulb guard halfway over the coupler and tightened the screws, securing it in place. At this point, I sprayed the whole frame with two coats of high temperature spray paint. 3. While the paint was drying, I worked on the mason jars. First, I drilled a 7/16" hole in the center of the lid flat. 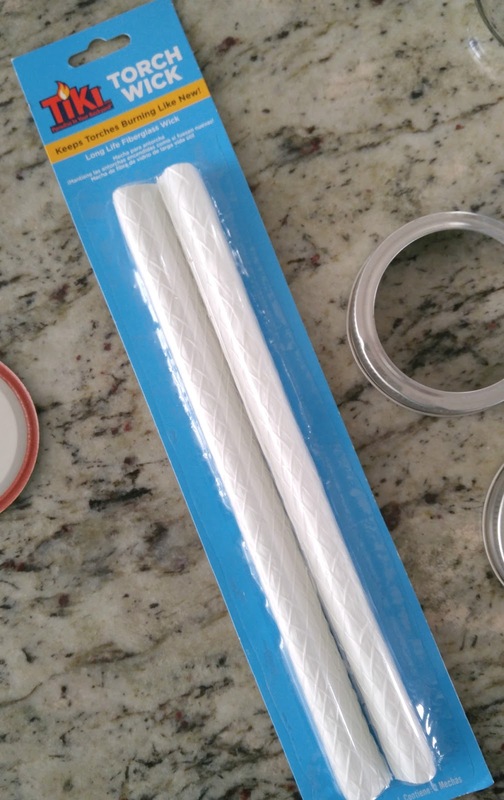 There are two types of tiki torch wicks. I recommend buying the the fiberglass kind since the don't lose length as they burn. 4. 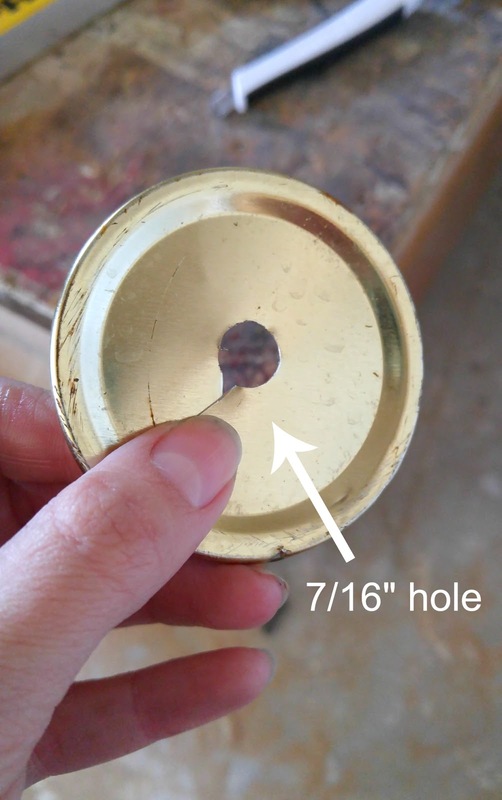 I inserted a wick through the hole in the lid flat. It needs to be a tight fit so the wick stays in place. 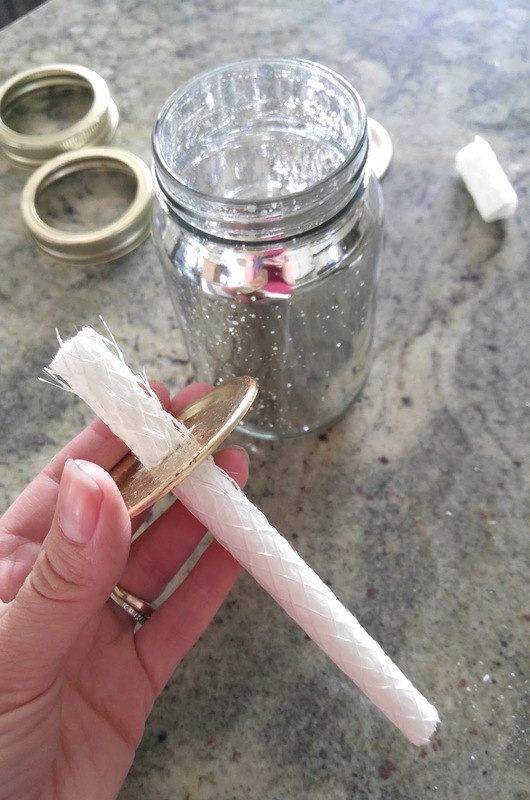 Then, I used a pair of scissors to trim the wick, making sure it would fit inside the mason jar. I found these cool, mercury glass mason jars at Joann's, but any ole jar will work. All that was left was to fill the mason jars, screw on the lids, and place my new tiki torches in the back yard. I made two pair and have plans to make a couple more. The pint sized mason jars hold a good amount of fuel and will burn for a while, but the frames could easily accommodate a quart jar if you've got a really wild party planned. 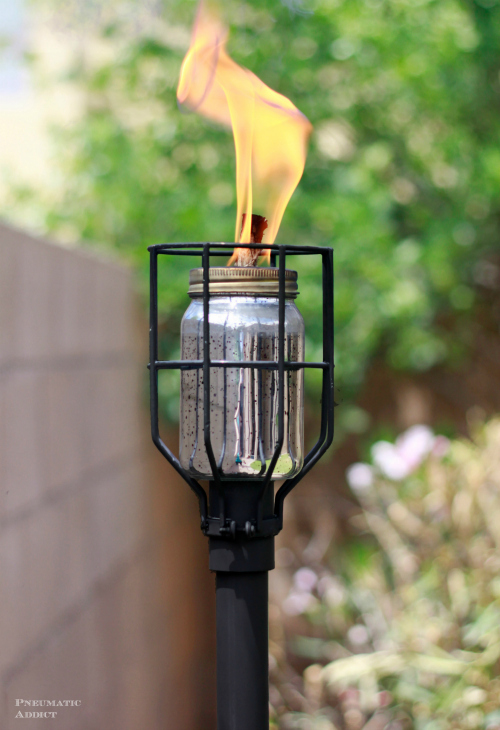 Ready to fill your yard with DIY industrial style tiki torches? Pin the image below and save the idea for later. 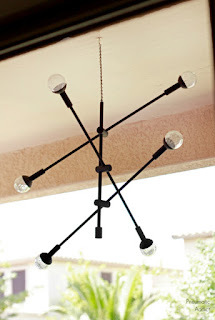 For more outdoor DIY ideas, check out How to Make a Solar Mobile Chandelier, and my Rolling Outdoor Island Building Plans. This is great! I definitely need to add some tiki torches to the back yard! Oh my gosh, I love these! I want to make them and put them all over my yard! What a great idea! These are so awesome Elisha! What a fun a cleaver idea!! Pinned! I love these. I have one question though. Did you just drive the pole into the bare ground, or did you cement these in? Thank you! We have pretty firm soil here, so I just buried them in the ground about 8"
What a cool project! You are endlessly creative and coming up with new ideas. Just might try this. Thanks! 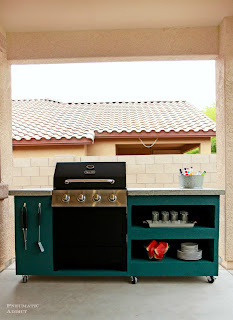 Such a cool idea, they are so much more stylish than the wood ones! You're right, if you were to purchase everything online it would be pretty expensive. I ordered the cages online and everything else I purchased locally for substantially less. 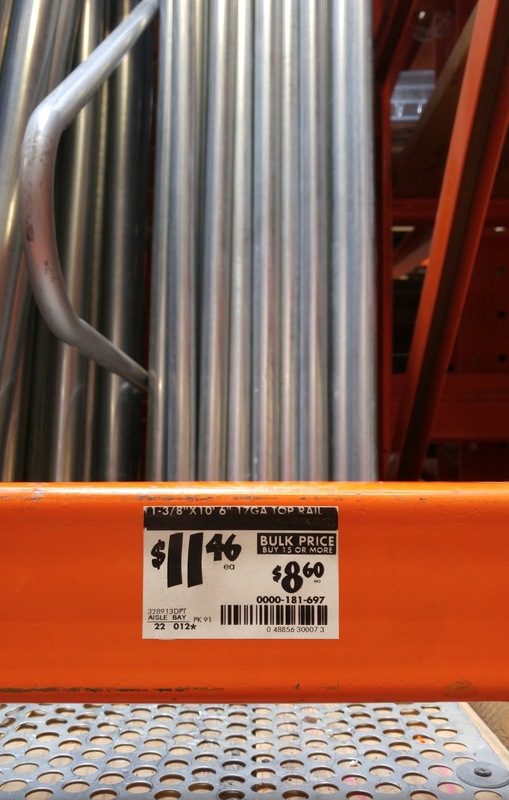 The PVC pole, for example, costs around $2 at Home Depot. As far as the coupler goes, 1" refers to the inner diameter of the PVC pipe its intended to join. If you include the walls of the PVC, the opening inside the coupler is around 1 -3/8". I was able to fit it on the metal pole with no problem.